Rapid growth. Surprising pivots. Achievements unlocked. Renewed self-esteem. Raises. Promotions. New jobs. New teams. New towns. Better health. Better balance. More success. More self-worth. These are just some of the things my clients accomplish with my support. I can’t take the credit — they do all the hard work, and they make lasting change happen. It’s a privilege to witness. Client had years of shame from long-ago boss's misconduct, never trusted again. Coaching helped her establish boundaries while staying open. My client was just named COO of a beloved and powerful nonprofit in NYC. Now making 2x $ last job, a for-profit, where she wasn’t valued. Client at same tired co whole career, had no clue how to get out. With coaching, now at innovative startup doing meaningful work. Loving it! Client had a pattern of quitting jobs when things got tough. Through coaching, stayed, thrived, grew, moved on to bigger opp without regret. After 2 rounds of coaching, high-powered executive client is back on the wagon, off cigs, and walking 10K steps every day. Health is wealth! My client was just promoted from Principal User Experience Designer to Manager, User Experience in less than 5 months at new job. Booyah! Here is a selection of our most treasured organizational clients, along with insights into the culture change we have helped them to achieve. Please get in touch if you want to know more. In April 2017, Whitney was engaged by Megan Sanicki, Executive Director of the Drupal Association, to mediate an immediate crisis occurring in the Drupal community and throughout the press. Using the principles of Nonviolent Communication, Whitney facilitated more than a dozen 90-minute discussion sessions (in-person and online), cultivating a safe space that generated potential solutions. The overwhelming response was that it was a healing experience. Those who came in on opposite sides of the issue walked away feeling connected by their shared needs and hopes for the Project. Several leadership changes were made, and new community governance process is underway. There have been substantial improvements to communication, transparency, clarity, participation, and trust. In 2013, Whitney was hired by New York Public Radio‘s Chief Digital Officer Thomas Hjelm to research and test a critical new feature in their WNYC mobile application. She helped shape the feature’s positioning, messaging, and integration in the app, through ongoing collaboration with the executive team, including President and CEO Laura Walker. The app’s relaunch accompanied a $10 million grant from the Jerome L. Greene Foundation — the largest single gift ever made to a public radio station — 80% of which was earmarked to support their digital operations, including this app. Since 2013, Whitney has worked with the Foundation Center, the leading source of information about philanthropy worldwide, across several of their product offerings. This long-term approach has allowed her to play an instrumental role in establishing and cementing a maturing user experience practice within the organization. Through multiple workshops and ongoing coaching with a talented multidisciplinary team of designers, developers, and researchers, Whitney has provided extensive support and guidance on how to effectively bring stakeholder research, user research, product strategy and usability testing into the product development process. This has greatly improved Foundation Center’s ability to connect nonprofits who want to change the world to the funding resources they so desperately need to succeed. In 2011, The King Center began to digitize more than 1 million of Dr. King’s documents — many never before seen. With support from JPMorgan Chase’s Technology for Social Good, and in collaboration with C&G Partners and Palantir.net, Whitney helped define the institutional objectives and target audiences of this first-of-its-kind digital archive. She planned, organized, and facilitated a two-day workshop with 12 key stakeholders at The King Center, conducted dozens of one-on-one interviews with prospective users across multiple constituent groups, crafted a cross-platform experience strategy, and provided a structure for prioritizing features and establishing a long-term product roadmap. 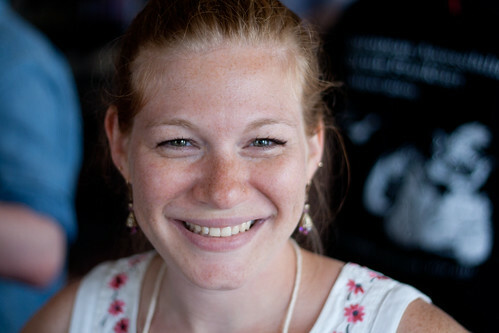 In 2009, Whitney was engaged by acclaimed agency Happy Cog to support a project for the Holocaust Museum in Washington, D.C. She managed the extensive user research initiative to define and prioritize the institution’s diverse target audiences and identify new ways to digitally serve their needs. Over three months, Whitney conducted dozens of one-on-one interviews across 11 constituent groups, including teachers, students, scholars, activists, general visitors, and Holocaust survivors and their families. Her presentations to the Museum’s senior leadership team helped reassess organizational objectives and sharpen the product vision. My biggest challenges fell under the leadership topic. With too many tasks and too little time, I was struggling to identify the most important next area and best actions….Whitney helped me reframe the way I was looking at the whole situation….Whitney worked with me to plot a better course, opening up exciting career options I hadn’t even considered before. For years, I’ve long admired Whitney’s principle-driven approach to user experience design and her advice on developing empathy. So when I first heard that she was offering coaching services, I jumped at the opportunity. At the time, I didn’t have a sense of direction in my work and I struggled to stay productive. Rather than focusing on the immediate issue, she helped me uncover deeper issues around the habits in my life. We slowly developed routines for self-care, self-awareness and self-adjustment. Shortly after, I became noticeably happier and many aspects of my life improved—not just my work. big s/o to @whitneyhess who is singlehandedly helping me build a business from the inside of my brain/heart/soul out. she's a coach's coach. If you have been considering career coaching, looking no farther than @whitneyhess – she's amazing as a coach; I can't recommend her enough. Congrats @whitneyhess !! So proud and honored to call you my coach. Keep doing great things! Thank you Whitney! ❤️Thank you for all your help and support! @whitneyhess Hello @whitneyhess! I'm a beginner in UX, I started listening to your podcast 'Designing Yourself'. Nothing short of brilliant! Your session was extraordinarily helpful and generous. True example of paying it forward. @whitneyhess you are a life changer! It has been 3 years since I discovered #UX through #empathy thanks to you! Thanks for being you. Because of my clients, we are fortunate to be in a position to contribute our time and money to where we believe it is most needed. We are working towards donating a minimum of 10% of our annual revenue and a minimum of 5% of our time to 501(c)(3)-designated charitable organizations that serve underserved and underrepresented populations. Please take a look at the organizations and missions we support. We want to help you further your mission. To explore working together, please reach out to Whitney at [email protected].